After a wonderful four days in Bali’s northwest village of Pemuteran it was time to move on to the next adventure and Ubud was calling our names. The options for getting there, however, were either very expensive (500,000 Rp to hire your own driver) or very out of the way (going all the way to Denpasar only to have a taxi turn back north to Ubud). So we began our morning with a bemo ride (30,000 Rp per person) to Singaraja about 45 minutes away. 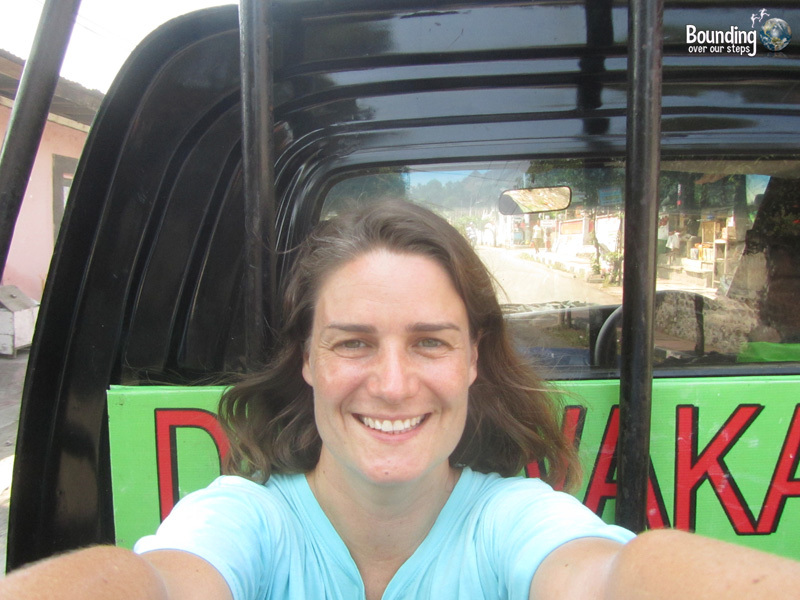 People started offering transport to Denpasar before we even stepped off the bemo. After insisting that we wanted to go to Ubud directly, one of the men suggested that we ride with a guy who was heading from Singaraja to Ubud anyway and after haggling down to 100,000 Rp, we were ushered towards the cab of a pick-up truck carrying fruit. There was a moment when Mindy and I whispered to each other, “Isn’t this hitch-hiking?”, but neither of us was alarmed. I’ll sit with the fruit! 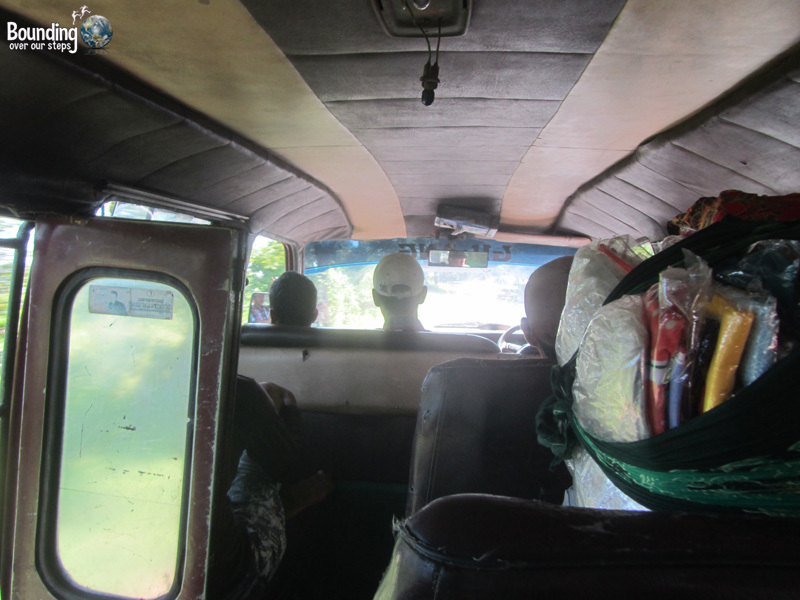 Wanting more of an adventure, I announced that I would ride in the bed of the truck with the fruit, which was met with “oh no, there’s room in the cab for two passengers” and “the sun is too hot”. They knew I wasn’t joking after I climbed in and started applying sunscreen to my face and arms. I’m in the back of a fruit truck! For some reason people were shocked and I…well, I thought of my grandmother. Once on a full bus in Turkey, a man requested that some of the young men volunteer to move to the roof to make room for the new passengers getting on. My grandmother, already in her 60’s, announced, to everyone’s amazement, that she would gladly go to the roof and despite many objections, insisted on it. In the end she found herself getting much more adventure out of what could have been an otherwise ordinary ride. And so I took my grandmother on the ride with me, wedged among mangosteens, snake fruit and rambutan and with a wave to those still in disbelief we were off! Hey, there’s a Bule in the Back of that Truck! I enjoyed riding backwards facing the motorbikes behind the truck. Many families smiled and waved from their bikes as did so many pedestrians who seemed shocked to see a bule (white person) in the bed of a pick-up truck. No matter the person, the reaction was always the same: a double-take, a smile and then a wave. Throughout the entire three-hour journey I must have waved at least 50 times. The road became decidedly steeper and curvier as we climbed the mountain and then… we suddenly stopped. The driver got out and walked over to the fruit stand nearby to load up on even more fruit. With a snake fruit each for Mindy and I and a cigarette for the driver we were off again, climbing the mountain. The air became refreshingly cool in the hot sun. I was surprised to hear Mindy yell out of the cab window, “monkey to the right”. 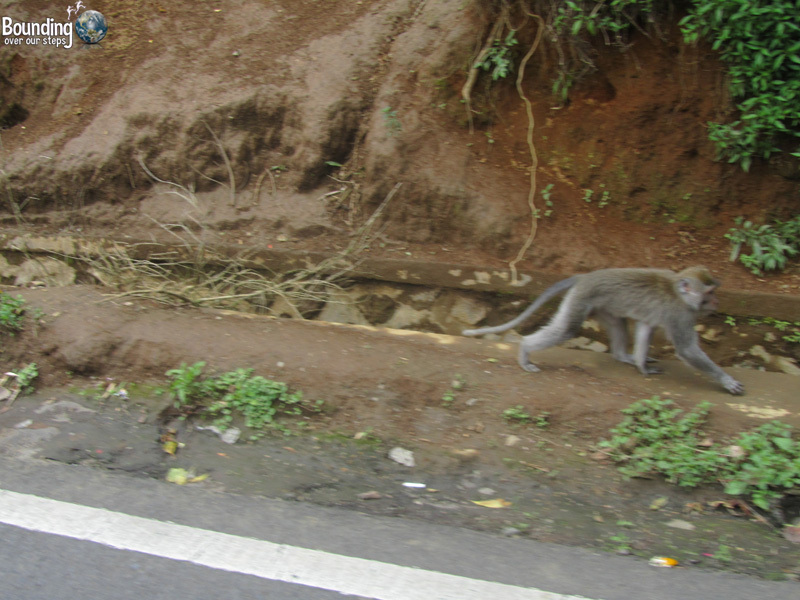 I got my camera ready expecting to see a single monkey and there turned out to be many to the right, to the left and even in the middle of the road. 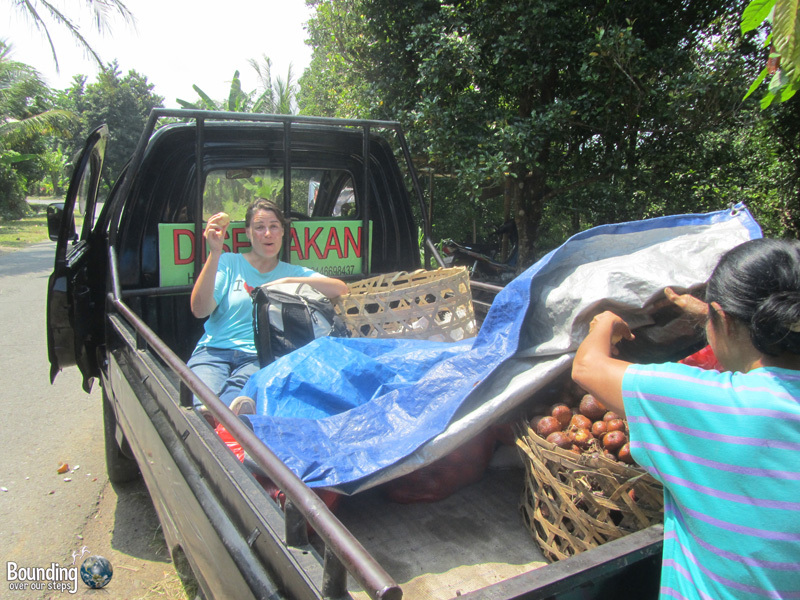 Encouraged by the driver (as she told me afterward), Mindy threw a rambutan to one of them as we rushed by. 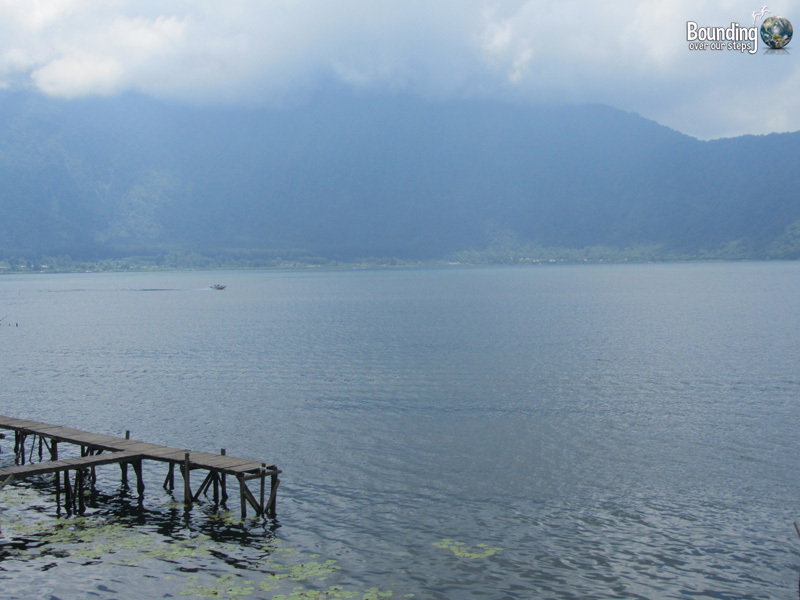 Lakes, Mountains and Rice Fields, Oh My! 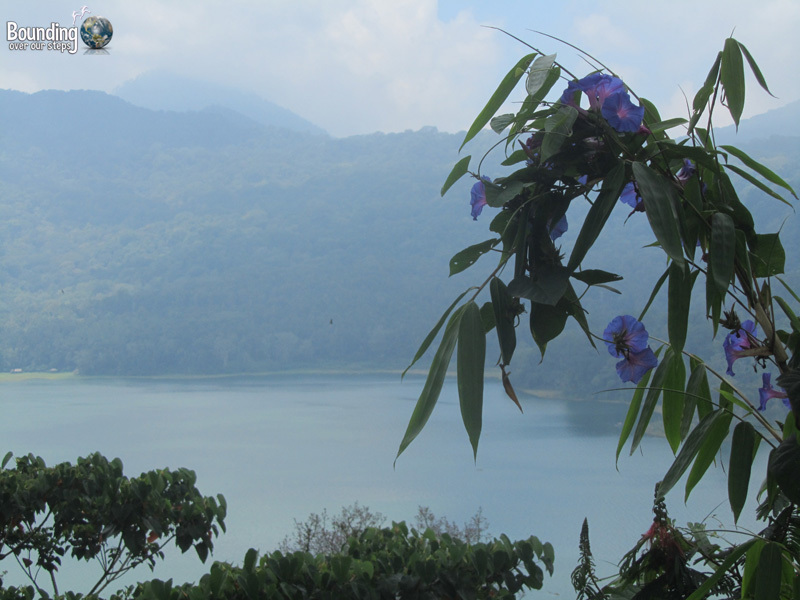 Passing two gorgeous lakes (Lake Buyan and Lake Bratan) the curvy roads became less so as we descended the landscape changed from mountainous lush jungle with stunning to vistas to a flatter terrain, ideal for rice fields. We also passed through village after village each with a local store, a school and either a mosque or a Hindu temple. It was in these villages that I enjoyed the most smiles and waves. …and then right and left again, right, left and then I simply lost track. 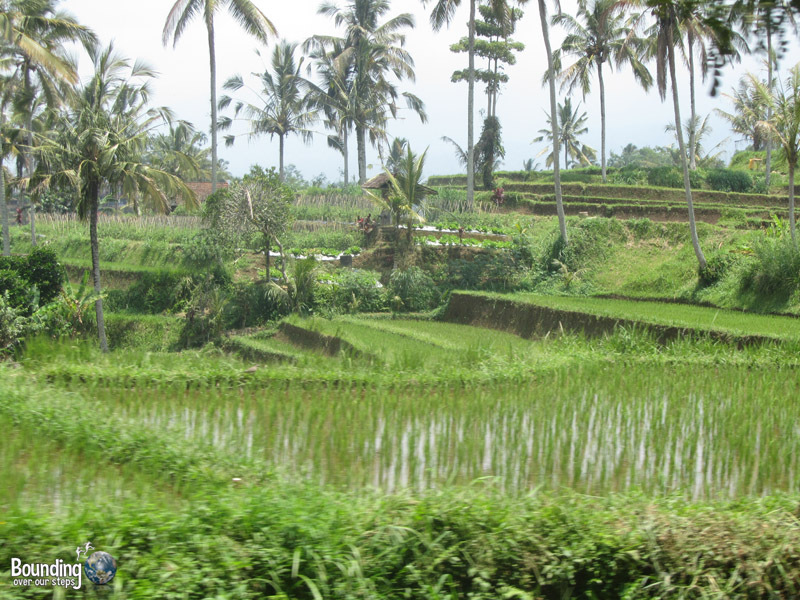 But I knew we were snaking our way east to Ubud and my excitement grew. I had wanted to visit Bali for just over 20 years!!! As both the number of cars and traffic lights increased, the number of smiles and waves seem to decrease and I wondered if I had built up Bali so much in my head that I was bound for disappointment. Only time would tell, but on thing was certain: discovering Ubud would be another adventure. Where have you accepted a ride from a stranger? We made the ride from Sinaraja to Ubud in February and we amazed, and delighted, at how cool it was at the higher elevations. 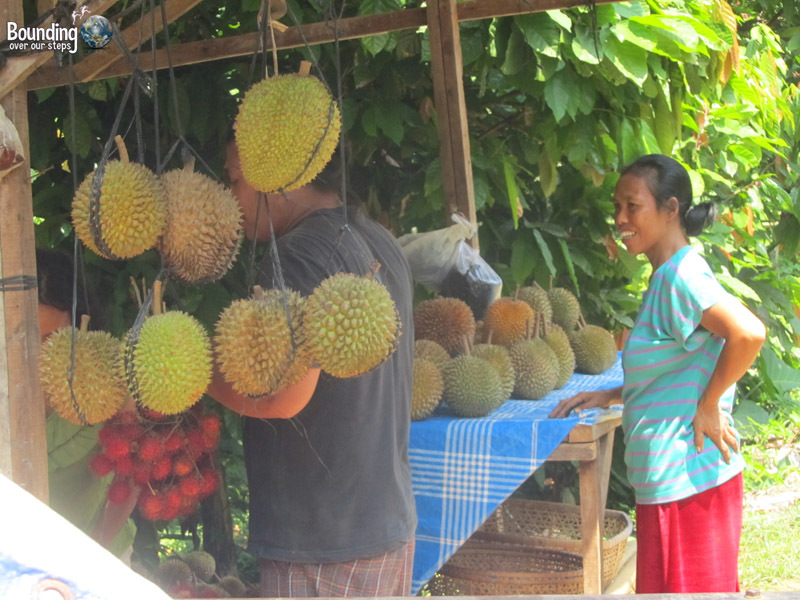 We did it in a hired car (we actually had to go Ubud>Ahmed>Sinaraja>Ubud in a day – 650k IDR for the loop), but a fruit truck sounds like a wonderful option. Elena and I are back in Bali (Ubud) as of this morning. If you’re here let me know on FB. Regardless, Happy Bali New Year, enjoy the silence!